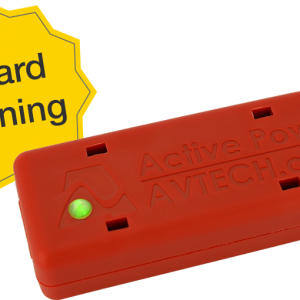 Monitor temperature, humidity and heat index (feels like temperature) with AVTECH’s Digital Temperature & Humidity Sensor. 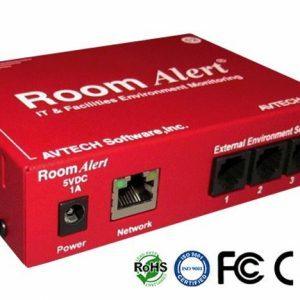 This sensor provides real-time temperature values from -40 to 185 degrees Fahrenheit and/or -40 to 85 degrees Celsius when used with any Room Alert environment monitoring device. Temperature accuracy is within + / – 2 C degrees. The humidity range is from 5% to 95% relative humidity (RH) non-condensing. Humidity Accuracy is within + / – 4.5%. 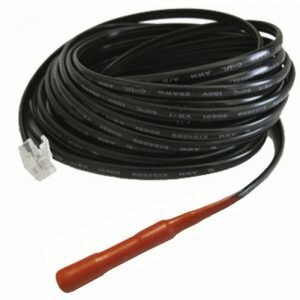 AVTECH offers this sensor with cable lengths of 25′, 50′ and 100′. 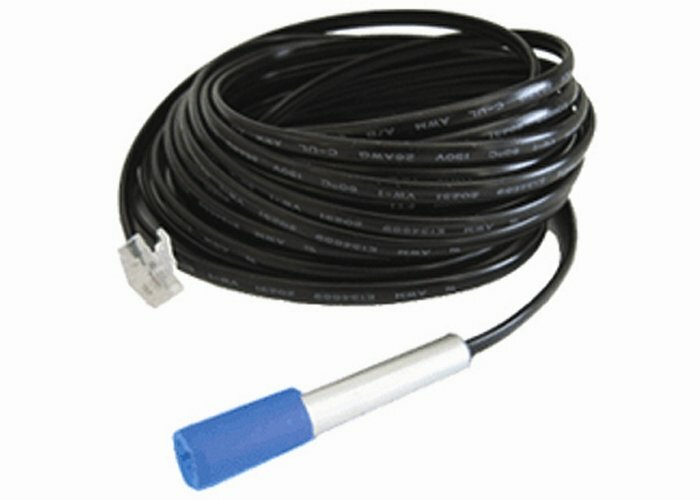 Each AVTECH Digital Temperature & Humidity Sensor provides real-time temperature values from -40 to 185 degrees Fahrenheit and/or -40 to 85 degrees Celsius. Accuracy is within + / – 2 C degrees. The humidity range is from 5% to 95% relative humidity (RH) non-condensing. Accuracy is within + / – 4.5%. This is a dynamic sensor that provides temperature and humidity values every two seconds and feeds temperature and humidity in real-time data back to the Room Alert ID box for data logging, alerting and automatic corrective action. This is an instant ‘Plug & Play’ sensor via one of the standard RJ-11 jacks on any compatible Room Alert monitor.